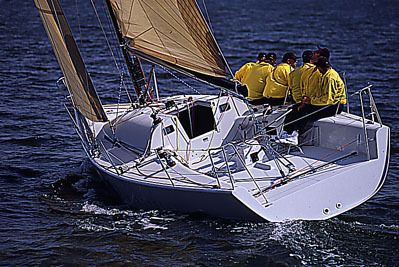 Carbon mast with twin, swept-back spreaders. 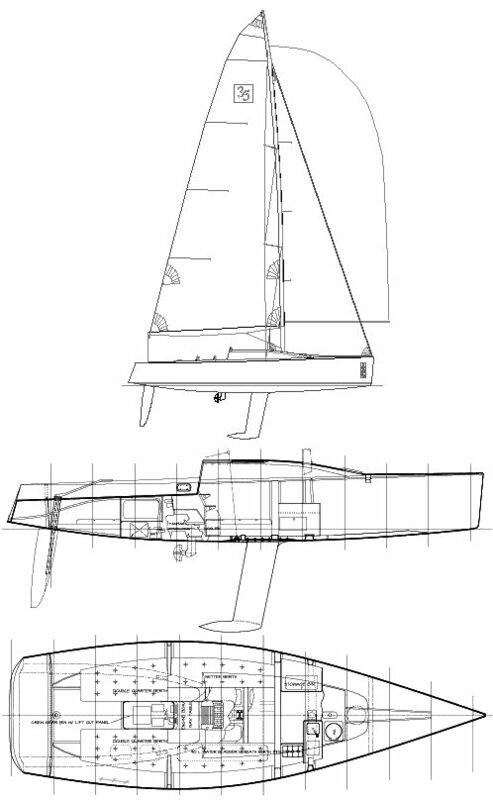 As originally delivered for one-design racing, the 1D 35 has no backstay(s). (at hounds or topmast). Rig tension is controlled under way with an hydraulically adjustable fore stay. Dimensions shown here from a sample IRC cert.